These elements are used in products ranging from MP3 players to mobile phones, flat screen TVs and hybrid batteries. China has warned that the decline in its rare earth reserves in major mining areas is ‘accelerating’, as most of the original resources are depleted because of excessive exploitation and illegal mining for the decline. However, the U.S., EU and Japan filed WTO complaints in March accusing Beijing of violating its commitments to the global free-trade body. 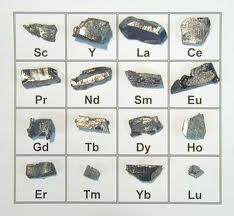 They say export limits push up rare earths prices abroad and give buyers in China an unfair advantage. China accounts for more than 90 percent of the world’s rare earth supplies, but has just 23 percent of global reserves. According to Gao Yunhu, deputy chief of the Rare Earth Office at the Ministry of Industry and Information Technology said: ‘We’re willing to cooperate with the parties involved to solve the dispute as soon as possible. At the same time, we will actively use WTO rules to defend China’s legitimate rights and interests. 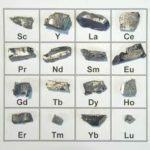 The Chinese government has announced production caps, stricter environmental standards and an export quota system for rare earth metals in recent years to protect the environment and preserve the exhaustible resources. As a rule, the WTO allows members to take necessary measures to protect their resources and environment. The organization allows export restraints if they are accompanied by simultaneous restrictions over domestic production or consumption. Despite export controls, China has met global market demand, Gao said. A Cabinet official rejected complaints Beijing is using the environment as an excuse to support fledgling Chinese producers of lightweight magnets and other rare earths products by limiting supplies to foreign rivals in violation of its free-trade pledges. ‘The protection of the environment is never a pretext for gaining advantage or increasing economic returns,” said Su Bo, a deputy industry minister, at a news conference. The government says last year’s total exports were 18,600 tons, just 60 percent of the 30,000-ton quota, due in part to slack global demand. Beijing’s decision to limit exports has prompted foreign producers to announce plans to reopen or develop mines in California, Canada, India, Russia and elsewhere.